There’s something queer about comics. 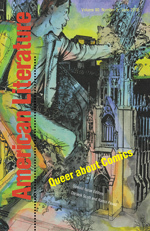 Whether one looks to the alternative mutant kinships of superhero stories (the epitome of queer world making), the ironic and socially negative narratives of independent comics (the epitome of queer antinormativity), or the social stigma that makes the medium marginal, juvenile, and outcast from ‚proper‘ art (the epitome of queer identity), comics are rife with the social and aesthetic cues commonly attached to queer life. Moreover, the medium has had a long history as a top reading choice among those ‚queer‘ subjects variously called sexual deviants, juvenile delinquents, dropouts, the working class, and minorities of all stripes. Despite this, comics studies and queer theory have remained surprisingly alienated from each other. 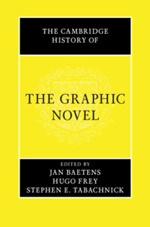 The Cambridge History of the Graphic Novel provides the complete history of the graphic novel from its origins in the nineteenth century to its rise and startling success in the twentieth and twenty-first century. It includes original discussion on the current state of the graphic novel and analyzes how American, European, Middle Eastern, and Japanese renditions have shaped the field. Thirty-five leading scholars and historians unpack both forgotten trajectories as well as the famous key episodes, and explain how comics transitioned from being marketed as children’s entertainment. 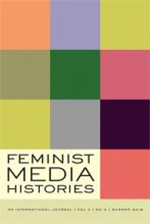 Essays address the masters of the form, including Art Spiegelman, Alan Moore, and Marjane Satrapi, and reflect on their publishing history as well as their social and political effects. This ambitious history offers an extensive, detailed and expansive scholarly account of the graphic novel, and will be a key resource for scholars and students. Comics inherently have a complex relationship with history. Popular conceptions of ‚history‘ as a line of cause-and-effect relationships culminating inevitably in the present moment are formally challenged by sequential art, which tends to refuse linear conceptions of time. Specifically, and contradicting the usual locating of history in an inaccessible past, comics as a medium depict past and present simultaneously. As Barbara Postema notes, unlike in film, all the images in comics exist at the same time—time is constructed spatially, as the eye moves from one panel to the next throughout the book, but the images themselves remain, regardless of the reader’s attention.